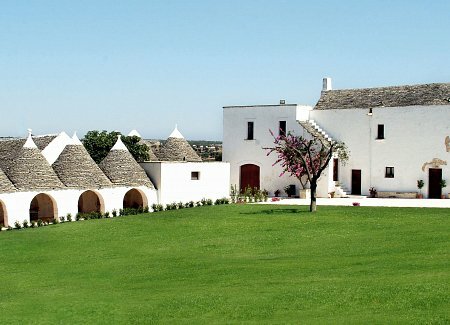 Get married in this idyllic location and introduce all your family and friends to fabulous Puglian traditions and history, with this superb farmhouse. 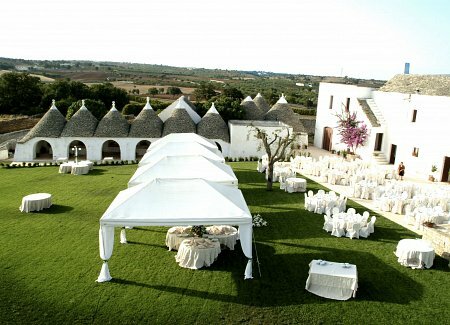 Exclusive to Madama Wedding Planners. 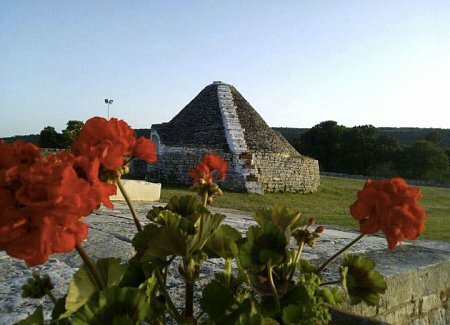 Dating back to the eighteenth century, the Enchanting Trulli is in an area of the Puglian countryside known as “Murgia Dei Trulli”, and with 360-degree views of woodland and fields, this is a great choice for lovers of the countryside. 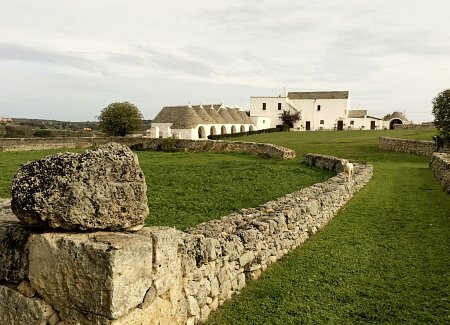 The masseria is a work of art, and its trulli – traditional, conical dry-stone buildings, an icon of Puglia – are protected by UNESCO. 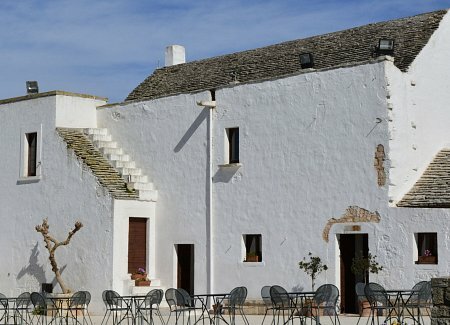 Vito and his wife, who live locally, run this lovely farmhouse and keep it looking immaculate and pristine. 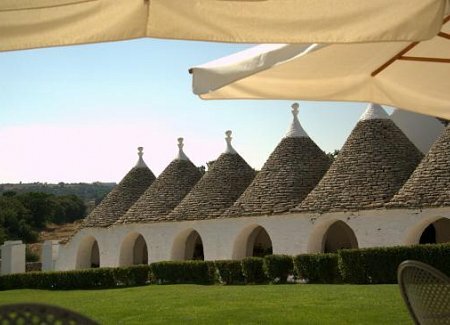 They offer a typical Puglian menu, rich in locally-sourced food and wine. 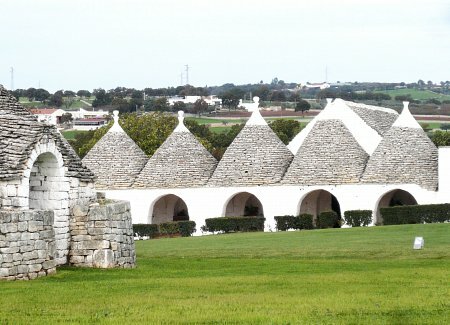 Find more images of this location on our Pinterest page.